What’s good? 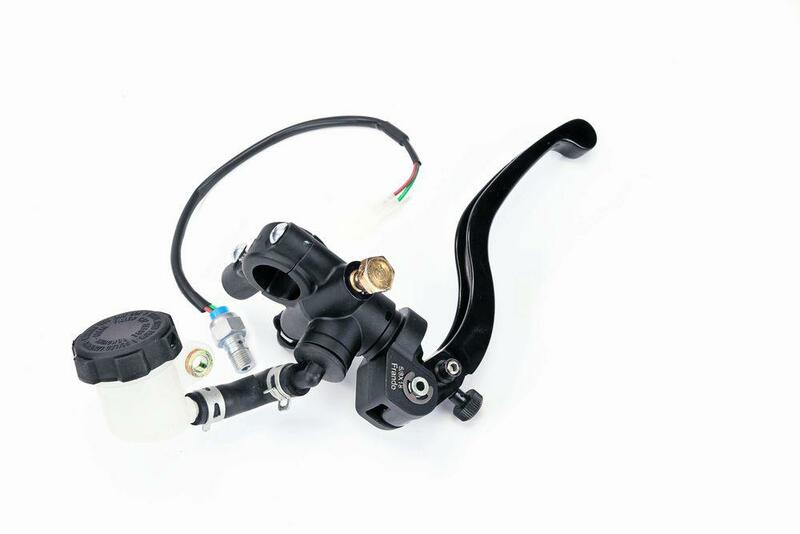 Fitted as a replacement to the stock unit on my 2015 KTM RC390 long termer, this Frando master cylinder helped improve the feel of the front brake for a reasonable outlay. With all the look s of a much more expensive Italian master cylinder, the Frando has a body made from forged aluminium and features a lever with adjustable span. The kit also includes a brake light switch, reservoir pot with clamp, and a mirror mounting bracket. It’s available in 15, 17 and 19mm piston sizes, and it comes with a two-year warranty. What’s not: There’s not much to dislike. Frando even offer full spares back-up meaning you can purchase replacement levers and even full rebuild kits.